Mainland actor Yuan Hong (袁弘) tied the knot with actress Zhang Xinyi (張歆藝) on May 30. 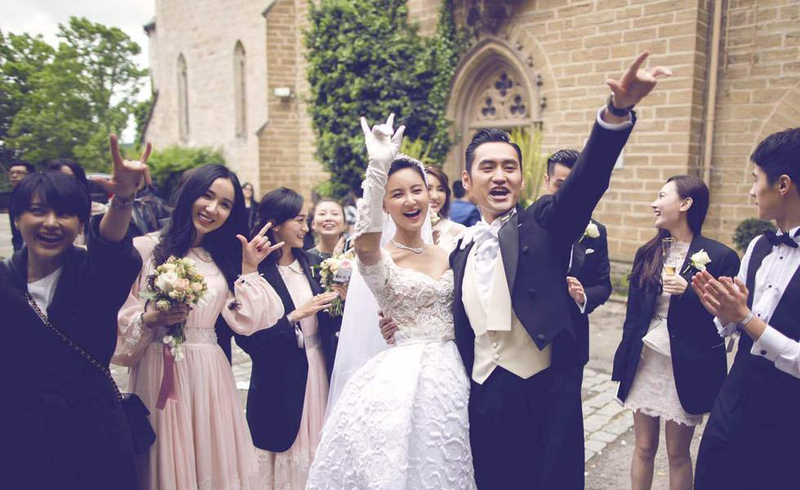 Celebrating the beginning of their new journey, Yuan Hong and Zhang Xinyi held a star-studded wedding ceremony at Hohenzollern Castle in Germany. Thirty-three-year-old Yuan Hong rose to fame after starring in drama Bu Bu Jing Xin <步步驚心>. After filming Princess Jieyou <解憂公主> last year,Yuan Hong fell in love with Zhang Xinyi, who was previously married to director Yang Shupeng (楊樹鵬). One day before the wedding, Yuan Hong held a birthday party for Xinyi, who turned 35 on May 29. Friends and family who had arrived early in Germany joined the casual party. 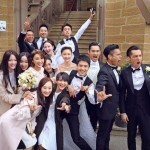 The next morning, groomsmen Hu Ge (胡歌), Eddie Peng (彭于晏), Ma Tianyu (馬天宇), and Liu Haoran (劉昊然) accompanied Yuan Hong in picking up the bride. Xinyi’s bridesmaids Lou Yixiao (婁藝瀟), Tang Weiwei (譚維維), Sun Xiaoxiao (孫驍驍), Leica He (何泓姍), and Lu Xia (呂夏) wore pale pink gowns, which matched with the vintage-themed wedding. While working together under Shanghai Tangren Entertainment, Yuan Hong became close friends with Hu Ge, Cecilia Liu (刘诗诗) and Guo Xiaoting (郭晓婷). 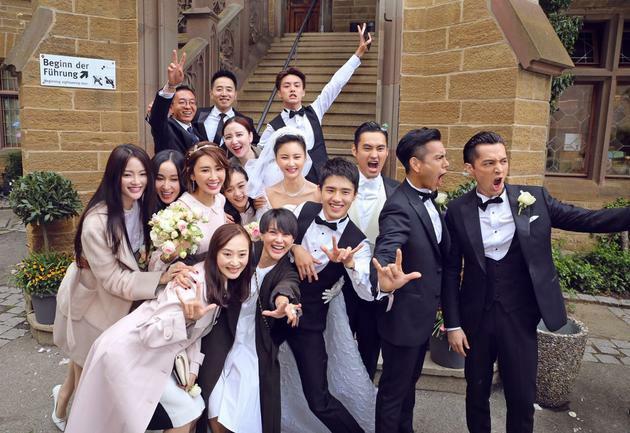 Although the artistes are now working at different companies respectively, Yuan Hong’s wedding brought the friends together again. 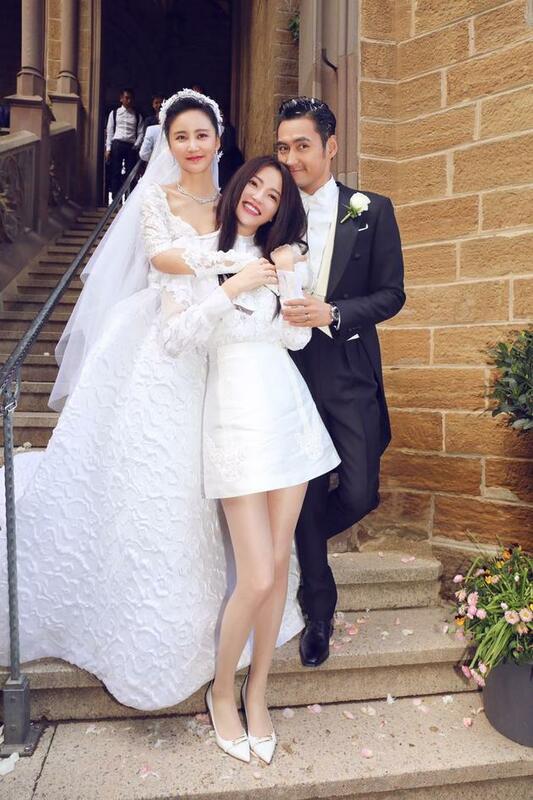 Cecilia’s husband Nicky Wu (吴奇隆) was also one of the many celebrities who attended the wedding party. Wow! Another CP3 cast member that has tied the knot! I never expected this to be so soon! This is great news! 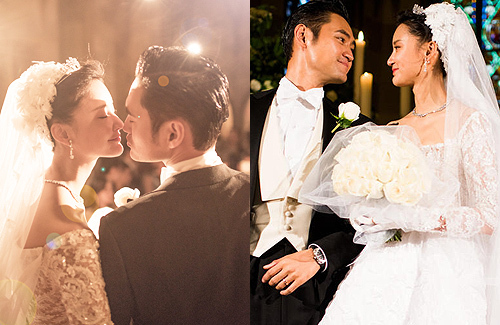 I have always liked Yuan Hong and I am happy that he found someone he loved and tied the knot. This is a very good looking bridal party indeed! Love is in the air indeed! @janet72 I thought they reported that Liu Shi Shi was not among the guests; only Nicky attended. This is surprising given LSS and him had gone way back. @aiya if you look at the photos… you will see LSS with Nicky in 1 of them. @aiya LSS was there. I saw pics of Nicky and LSS at the airport and wedding. Who & Who?? hahah LOL…. woman is only 2 years older but she looks much older. I guess they say women age faster than men is indeed correct here. lol…. @riceball120 they do match because Yuan Hong looks older than 33. So happy for Yuan Hong and Zhang Xinyi. I can definitely see the love in their eyes in each picture they’re in together. @aiya LSS was at the wedding. In a different source, LSS was with Nicky in two of the pictures shown and even took about 2-3 pictures with Yuan Hong and Guo Xiaotong. One thing wrong about this reporting is that actress Sun Xiaoxiao was NOT a bridesmaid. She was just more so a MC for the event. ahhh 13th prince!! They look good! Actually think they look alike.. has the hubby/wife look! congratulations for sure! @dramas4me yep. If you look at side profile, look exactly alike! They look so amazing together! Saw their wedding videos and they were both so charismatic together! Yuan Hong was born in Hubei Wuhan and he never said he liked Germany, a foreign country which has nothing to do with his success. It is strange that Yuan Hong did not choose for his wedding such a beautiful country, China. I was thinking that Yuan Hong is handsome and looks nicer in ancient Chinese clothing or in modern clothing (made in China). The location of his wedding should be in China ideally or a different Asian Pacific rim country. There is more hype about the hill with the castle, but the castle consists of triangles and rectangulars, is lovely but not as breathtaking as some whitewashed Chinese are screaming about, calm down. 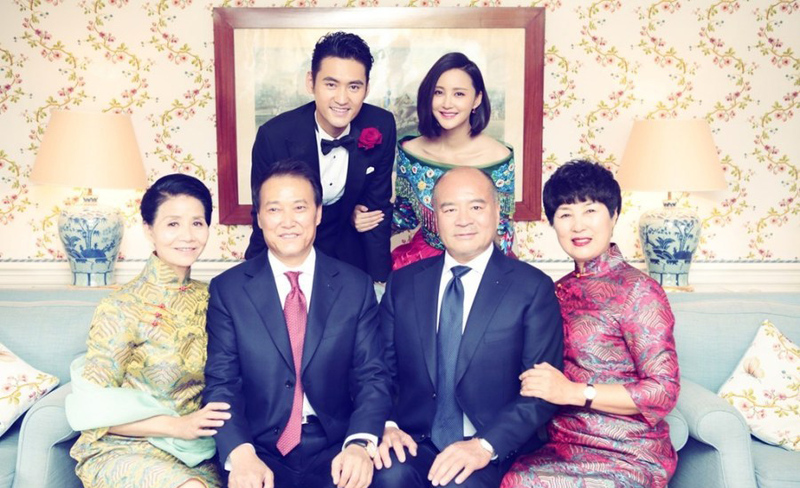 It is harassing that some wealthy Chinese actors such as Yuan Hong are not even choosing to have a Bhuddist wedding or to have a traditional Chinese wedding in addition to the suit and white wedding dress. Young people or older but young people of different ages should be smart enough to hold a cultural Chinese wedding as well with interesting Chinese customs. After all, most of Yuan Hong’s success and money came from great ancient Chinese dramas. To celebrate his wedding,Yuan Hong should never get married in Europe, like a breach …Yuan Hong seemed to geniunely Chinese and that is what I previously liked about Yuan Hong. Then Yuan Hong changes to the opposite and starts promoting western castles which are over-rated and not consistent with his previous personality.